Just about two years ago I participated in National Novel Writing Month, a contest of sorts to get one started on a writing project by committing to write at least 50,000 words in a one month period. I successfully completed that challenge and have been working on my novel Rerouting in fits and bursts since that time. Back in August of last year I was feeling particularly frustrated with my writing and my prospects of finishing. It was about that time that one of the nice people that I follow on Twitter was tweeting excitedly about the publishing of her own book. It was fortuitous and inspiring because here was someone who was doing it, had written, had edited, revised, rewritten, edited again, and then declared that she was finished. All the work that she had done had led to a completed work, a book. A Real Book! I needed inspiration and this was it. It kept me writing, kept my goal real and something that could be accomplished. 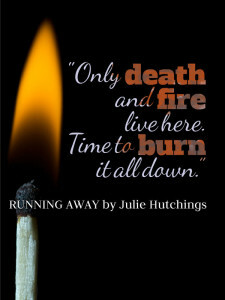 The author is Julie Hutchings and the book was Running Home. I bought it and read it and enjoyed it. Not only had she finished it, but it was also really good! It had vampires but not stupid twilight vampires, cool vampires with cool mythology, and it had real people and good characters and good writing and a love story and, damn it was just fun to read. It’s been a bit over a year since Running Home came out and I still write. I still see a completed and published book somewhere in my future. It’s slow going but it’s going. Julie has also continued to write and following her progress on Twitter has continued to inspire me to keep writing, to not abandon my project. I don’t know if she has known how inspiring she has been, but I guess she will now. 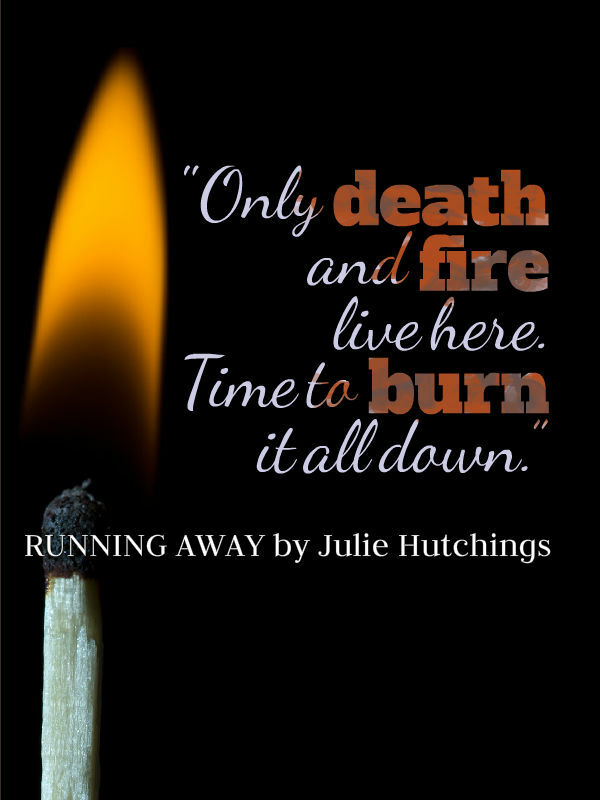 So as I still work my way through my first novel, Julie is at it again and her follow-up to Running Home is coming out today. Titled Running Away, it continues the story of Eliza and Nicholas as we learn more about the Shinigami (the order of vampires) – plus other fun things like betrayals, vampire masters, immortality, and decaying people. So, bottom line here, Julie is awesome, her books are awesome, and I can’t wait to read this. Maybe you’ll like it too. I am more proud of THIS than I think I am of the book. Scott, this means so much to me, that I could have done this for you. Keep writing, be amazing, be YOU. Thank You Julie, I’m doing my best.